VoIP is the new market standard for business telephony. Compared to ISDN, it is easier to set up and more cost efficient. However, behind setting up a VoIP call, there is still some complexity to take into account. Especially for companies that have a focus on scaling their business internationally, it can become increasingly challenging. But not with these 3 tips. All three components can be greatly influenced by your SIP Trunk provider, both in a positive and a negative way. The following tips will help you choose the right provider to scale your international voice business. While all vendors will claim 99.99% uptime, betting on one horse is never a good idea. Especially if your business relies on doing a lot of voice calls, it is strongly advised to connect with at least 2 or 3 proven SIP carriers. This will reduce your risk of complete outages and enables quality and cost comparison. Make sure to check for vendors that offer a geographically redundant platform. The longer your call needs to travel, and the more ‘hops’ it needs to take before it reaches the end user, the bigger the chance quality issues will occur. If voice call quality is key, make sure you connect with a SIP Trunk vendor that only offers premium quality routes. Premium quality stands for routes that guarantee proper delivery of your caller ID on the end user’s phone. Premium quality also means your calls are directly connected to the local telecom operator using the shortest route available. The amount of concurrent channels defines the total amount of live calls your SIP Trunk can handle at any given moment in time. This includes both the answered calls and calls being set up; outgoing and incoming. CC is the most important metric for defining SIP Trunk capacity, but the way you can utilize this capacity can be limited by the amount of Call Setups per Second. CPS defines the amount calls your VoIP system can set up in a single second. It becomes especially relevant if you have, for instance, a large contact center with lots of agents that have a focus on doing outbound voice calls. If those agents need to wait before they can set up a new voice call due to capacity limitations, it becomes a costly business. Often, these calls are setup automatically using a predictive dialer. The higher your SIP Trunk’s Call Setups per Second capacity, the more calls your dialer can setup for your agents. A more effective dialer means less idle time for agents. While many SIP Trunk providers make promises such as ‘practically unlimited capacity’, this almost always refers to Concurrent Channels. Even then, there is no such thing as ‘unlimited capacity’. If you are upscaling your voice business, try to get real numbers for both CC and CPS limits with your supplier. This will keep you from getting unpleasant surprises later on. Once you got your quality and scalability covered, one thing remains: your monthly bill. Calling internationally means paying different prices per destination. Also, regulation related costs may be applicable for certain countries. Be sure to keep things simple and transparent to prevent unexpected bills and disputes with your SIP Trunk provider. Many countries have local regulation for national and international call traffic. This could not only impact the quality and connectivity of your calls, but often also comes with specific cost surcharges. A common example is the termination of voice calls that originate outside European countries, to European numbers. Each SIP vendor implements local regulation differently from a commercial perspective. Make sure you know upfront how it works, what the cost is and how to prevent it. A more common point but not always a given fact in the VoIP industry is to actually pay for what you use. More specifically: there are still many SIP providers that charge you per minute, instead of per second. Never forget to double check your billing increments. Last but not least -and in line with use-based pricing and scalability- you should keep an eye on monthly fees. While not specifically a bad thing, monthly fees can pressure your margins when they increase based on the capacity you use. Minute rates might be lower with one SIP provider but increasing monthly fees might swing your decision to another supplier. Put these tips regarding scalability, quality, and cost into practice, and it will help your company focus on those things that matter most for international growth. CM.com specializes in providing global SIP connectivity to contact centers and enterprises. 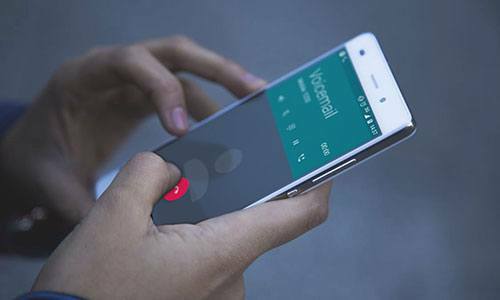 Powered by a premium quality network, easy-to-use cloud apps and transparent pricing, you can be sure the quality of your voice calls is guaranteed 24/7 around the globe. Want to know more about what we can offer and trial our services, visit our SIP Trunk page or get started below to start testing. Takeaway.com processes more than one million restaurant orders per month in The Netherlands alone. With representation in 10 countries throughout Europe, approximately 800 calls a day are started with customers per office. Takeaway.com uses CM's SIP Trunking and SMS Gateway to do so. Call centre GDCC performs high-quality phone fieldwork for consumers and companies and has extensive experience in interviewing respondents in different sectors. GDCC opted for SIP Trunking from CM because of the dynamic collaboration, strong routing and short communication lines between GDCC and CM. BARCELONA - Whatsapp ceo Jan Koum announced on February 24 it will start voice calling. The announcement was made at the Mobile World Congress in Barcelona.